The name Hozier will not be forgotten for a very, very long time. The Irish singer-songwriter’s recent self-titled debut is nothing short of incredible. The album is a wickedly deft, hauntingly beautiful collection of stories – because Hozier, at his core, is a storyteller, and the tales embedded in his songs are breathtaking. Capable of soaring to stunning highs and swooping to the darkest of lows, the debut release is one of the very few that actually manages to live up to the hype surrounding it. 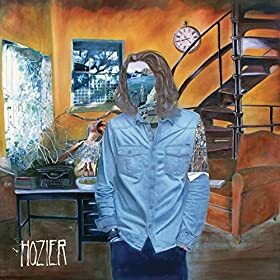 After the viral fame of the chilling single, “Take Me To Church,” as well as the track’s music video that criticizes Russia’s illegalization of homosexuality, Hozier was well on his way to a successful career in the music industry, and this album cements his fame. Featuring songs from Hozier’s From Eden and Take Me To Church EPs, like “Angel of Small Death and the Codeine Scene,” “To Be Alone,” and “Work Song,” the album builds upon the momentum created in previous releases. The album opens with the unforgettable “Take Me To Church,” an enormous song that is certainly quite an experience for any first-time listeners. Hozier establishes his impressive vocal talent, cleverly focusing the raw power within the track that, at times, threatens to overspill. He has a distinct feel for a narrative; a precise way with words that elevates the urgent, haunting, and wild feel of this opening track. “Take Me To Church” does not need another review attesting to its brilliance, but it must be said that this song is astonishing in its ability to sink into a listener’s bones like a damp rain. Another standout on the album, “It Will Come Back” could, like “Jackie and Wilson,” easily find a home on radio, but without pandering to the often-unoriginal, bland tastes that unfortunately populate some top charts. The track is slick as all hell, raw and blues- imbued, telling a story of lovesickness. The resonating drums thud like a heartbeat, sultry against the lyrics: “Jesus Christ, don’t be kind to me / Honey don’t feed me / I will come back.” The last moments of the song are particularly wild and messy and lovely, with Hozier singing, “you’ll hear me howling outside your door,” followed by a real, gritty howl from the musician. A couple thousand words could be devoted to exploring the complexity and beauty in Hozier’s self-titled debut. Each song holds its own tale – with inherent darkness and light – and yet, the album as a whole is cohesive, each track building off the next before taking the listener somewhere new. Hozier is an artist of monumental talent because he knows not only how to tell a story, but how to wrap the words of that story around listeners’ hands and pull them in close. Hozier's self-titled debut album is available now via Columbia Records.